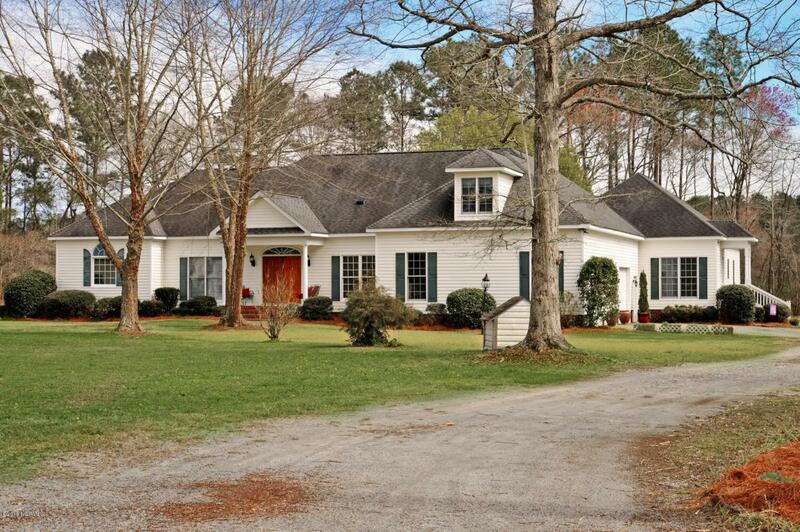 Well appointed custom built home with inlaw or guest quarters & horse facilities. Almost 6 acres. Gourmet kitchen with granite, tile back splash, stainless steel 5 burner gas range, lg pantry, & breakfast bar. Solid birch cabinets-hand built on site-throughout home! Oversized 3 car garage. Mud room with tons of storage & granite countertops. Master suite features a fireplace, jetted tub, walk-in shower, & huge closet. Formal dining room. Large family room with fireplace. Trey ceilings. 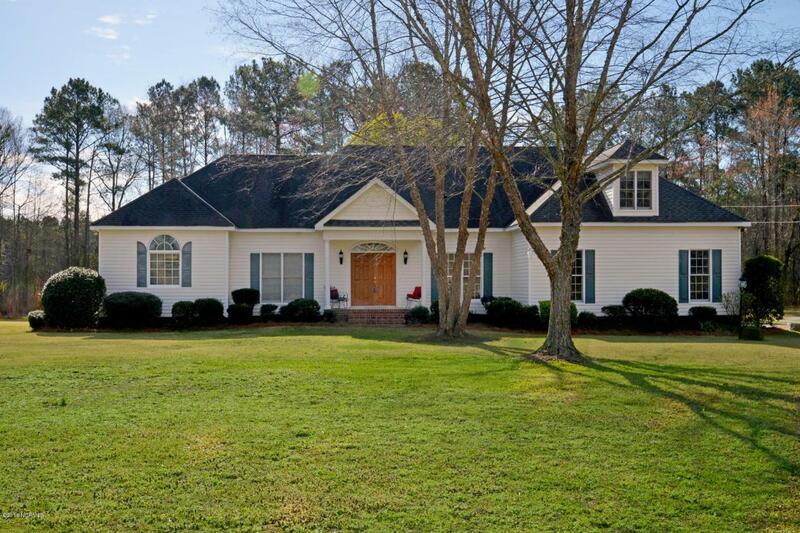 Beautiful sunroom overlooks mature landscaping, screened in porch & deck-perfect for entertaining. Guest suite (perfect for young or old) features private outside entry, full kitchen, sitting area, handicap accessible bathroom, & large walk-in closet. Lighted, sealed crawl space with 2 dehumidifiersKinetico water system with reverse osmosis in each kitchen . The horse facilities boast a 4 stall horse barn constructed with beautiful old tobacco barn reclaimed wood. 2 Tack rooms and hayloft (about 1000 sq feet). Attached lean-to is perfect for horse trailer, RV, or boat. Private driveway lined with bradford pear trees. Beautiful landscaping features fruit trees and a grape vine. Home has tilt out double hung insulated windows for easy cleaning. Beautiful crown molding and millwork throughout home. New gas pack installed about 2 years ago. Second story is ready to finish as bedrooms or bonus room. There is a separate septic tank and electric service on property -for an additional home or office. 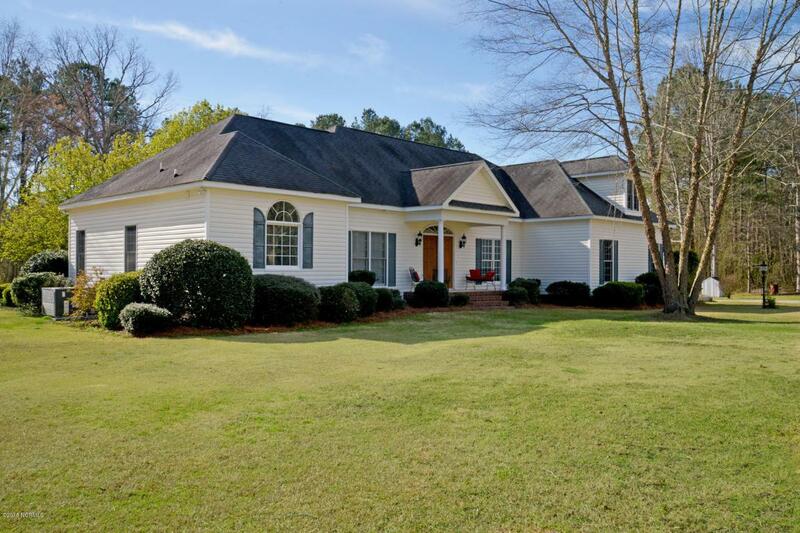 This home is meticulously maintained inside, outside, and underneath. 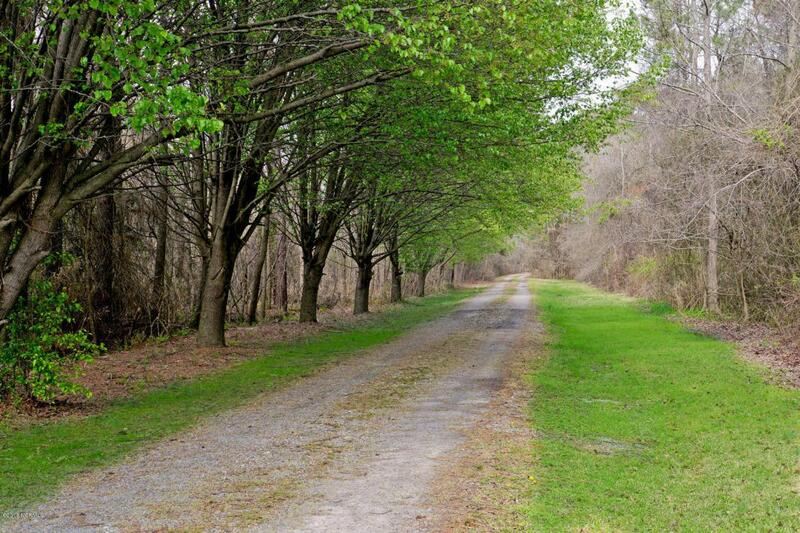 Home is located just outside of Farmville - minutes from Greenville.